Located at the corner of E. Foothill Blvd and Citrus Ave. inside the Citrus Shopping Center this ACE Cash Express has plenty of parking to appease its guests. Buses #10 and #66 of the OmniTrans have stops at E Foothill Blvd and Citrus Ave, a short distance from the store. Check their website for more details and arrivals/departures. A beacon of industry, this location neighbors Walgreens, AT&T, Raspado Xtreme, Pronto Pizza, and Baker’s Drive-Thru, just to name a few. If you are looking for an easy way to find quick funding, but have unique credit, it may be difficult to get a loan. Not when it comes to LoanMart. Customers with any credit type are welcome to consider an auto loan powered by LoanMart in Fontana. LoanMart may be able to help you qualify for up to $30,0001 in funds in as little as one business day.3 An auto title loan is a type of loan that uses the title to an automobile as collateral to secure funds. There’s no restriction to the borrower’s driving if all payments are made on time. Find out more below. Applying for Auto Title Loans Powered Through LoanMart is Convenient and Free! 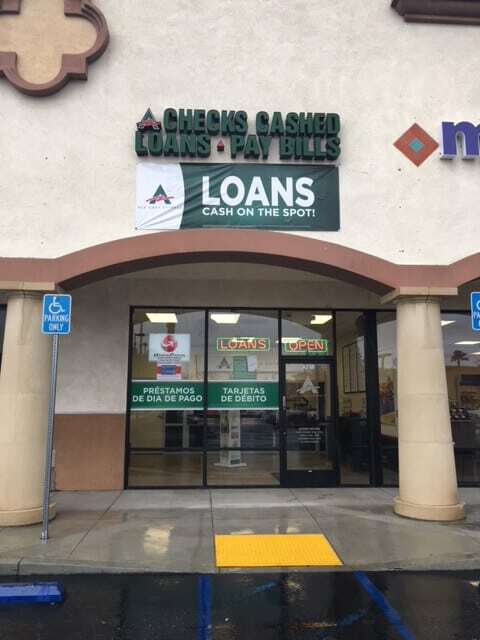 There are a variety of ways to get in contact, start your auto title loan powered by LoanMart in Fontana by; choosing to talk over the phone, by clicking “Chat Now” to talk to a staff member immediately, or by submitting an information request form- right here- and wait for a call from a LoanMart Agent. Once approved, your agent will converse with you about how to retrieve your LoanMart powered title loan funds at an ACE Cash Express!